STANFORD, Calif. – The official WTA acceptance list for the Bank of the West Classic has been announced, and with four Grand Slam champions, two former World No. 1s and several of the world’s top young players this year’s event will once again feature the best in women’s tennis. Highlighting this year’s player field will be two of the biggest names in women’s tennis who are making their return to competitive play in the United States. Five-time Grand Slam champion Maria Sharapova, who has been granted a main draw wildcard, will be competing in the United States for the first time since March 2015 (Miami Open). She has won 35 career WTA singles titles and is one of just six women to complete the career Grand Slam. This will mark Sharapova’s fourth visit to the Bank of the West Classic and her first since 2011. She made the final of the Bank of the West Classic in 2010. Two-time Grand Slam champion Victoria Azarenka has also been granted a wildcard and will be competing in her first United States event following the birth of her son Leo in December. Azarenka will be making her fifth appearance at Stanford where she won the singles title in 2010 and the doubles title in 2011. 2016 French Open champion Garbiñe Muguruza will be making her second appearance at Stanford. In 2014 Muguruza teamed with Carla Suárez Navarro to win the Bank of the West Classic doubles title. That year she also advanced to the singles quarterfinals. Fans will also get the opportunity to see two of the fastest rising stars in American tennis as Madison Keys and Bay Area native CiCi Bellis are scheduled to compete. Keys had a breakthrough 2016 season, winning her second WTA title, breaking into the World Top 10 and qualifying for the prestigious year-end WTA Championships for the first time in her career. She ended the year ranked a career-high World No.8. Bellis, a local product from nearby Atherton, Calif., is the youngest player ranked in the top-50 at just 18 years old. Currently ranked No. 42 in the world she advanced to the quarterfinals of last year’s Bank of the West Classic. As a qualifier at the 2016 US Open she advanced to the third round before falling to World No. 1 Angelique Kerber. Last year she also captured her first WTA title at the $125K Series event in Honolulu. 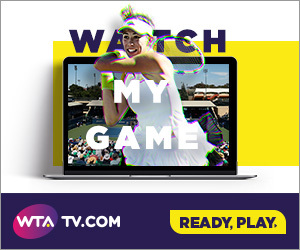 Other players to watch include 2010 French Open champion Francesca Schiavone, American CoCo Vandeweghe, two-time WTA singles titleist Anastasia Pavlyuchenkova and Japanese stars Misaki Doi and Naomi Osaka. The Bank of the West Classic, a Premier WTA event, features a 28-player singles draw as well as a 16-team doubles draw. The event is owned and operated by IMG and serves as the opening women's event of the US Open Series. Tickets for the Bank of the West Classic, July 31-August 6, are on sale now with individual session tickets for the opening round starting at just $34. The Bank of the West Classic also provides fans with multiple money-saving ticket packages that start as low as $192 for Night Session Packages, $265 for Weekend Packages and $620 for Full Week Packages. Groups Discounts of up to 20% are available for groups of 12 or more. Go to www.mubadalasvc.com or call (866) 982-8497 to secure your tickets today. The Bank of the West Classic offers several different seat options with prices to fit everyone's budget so reserve your seats today. Qualifying will be held July 29-30 and is free to the public. ABOUT THE BANK OF THE WEST CLASSIC: The Bank of the West Classic is the longest-running women-only professional tennis tournament in the world and is the first stop of the US Open Series. Owned and operated by IMG, the WTA Premier event features a 28-player singles draw and a 16-team doubles draw with total prize money of $776,000. Held on Stanford University’s campus at Taube Family Tennis Stadium since 1997, former champions include: Billie Jean King, Chris Evert, Martina Navratilova, Andrea Jaeger, Monica Seles, Martina Hingis, Lindsay Davenport, Serena Williams, Venus Williams and Kim Clijsters. ABOUT IMG: IMG is a global leader in sports, fashion, events and media, operating in more than 30 countries. The company represents and manages some of the world’s greatest sports figures and fashion icons; stages hundreds of live events and branded entertainment experiences annually; and is one of the largest independent producers and distributors of sports media. IMG also specializes in sports training; league development; and marketing, media and licensing for brands, sports organizations and collegiate institutions.